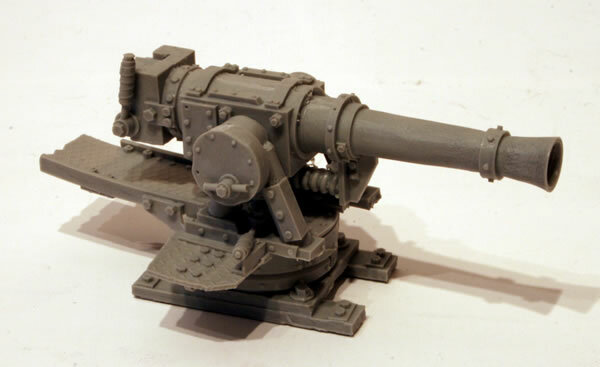 One model I recently purchased was a Forgeworld Ork KilKannon. 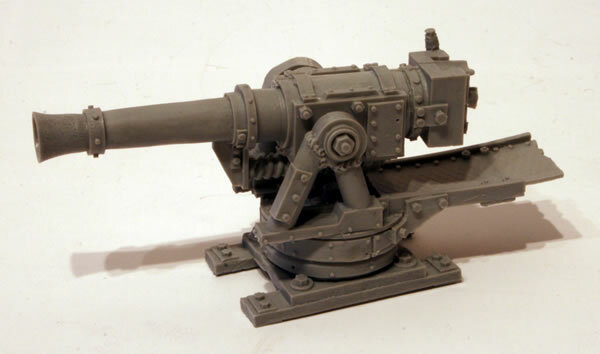 I am intending to use it with my new Ork vehicles. 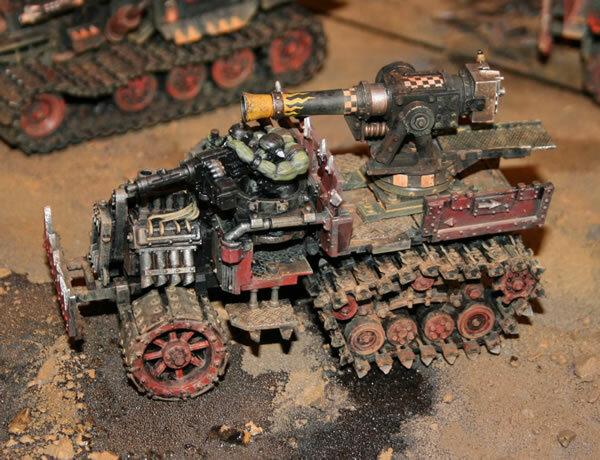 This is the weapon on an Ork Halftrakk as seen at GamesDay 2009. The resin parts are as seen here. 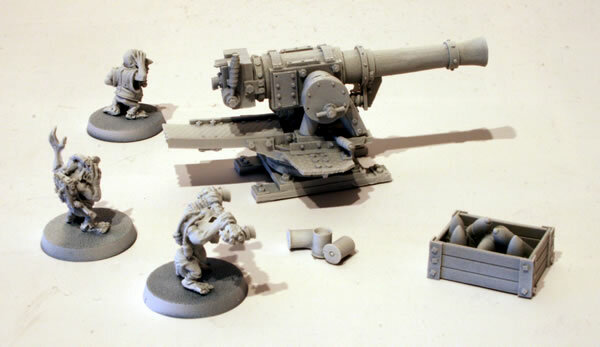 You get three Grot Krew and a case of shells. One of the key things you need to do with virtually all Forge World models is to give them a good wash. 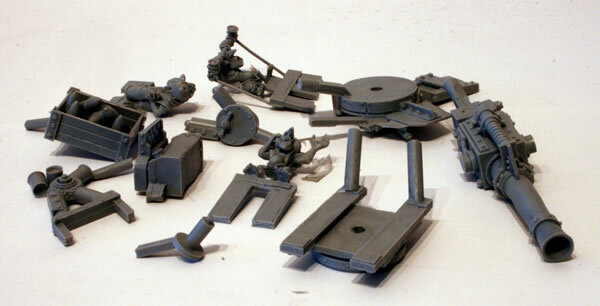 The KilKannon and Grot Krew were then given a white undercoat.